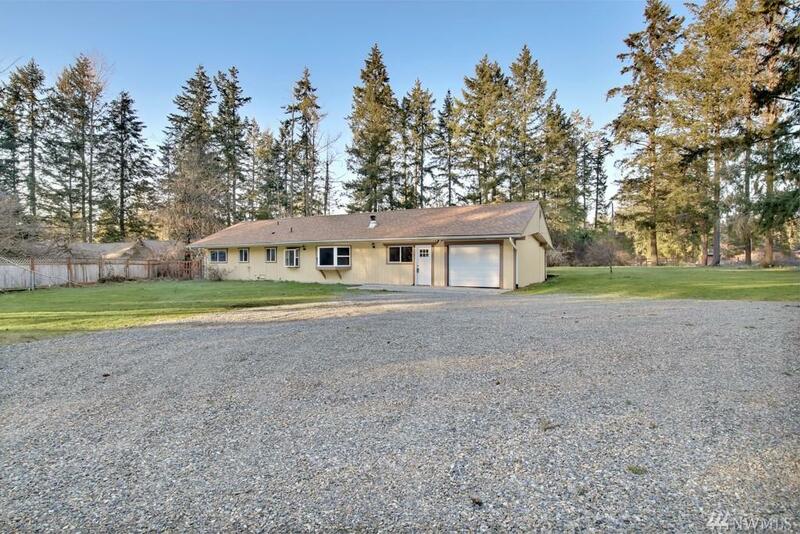 Welcome to the country to enjoy the privacy of this 1.25 acre flat lot! 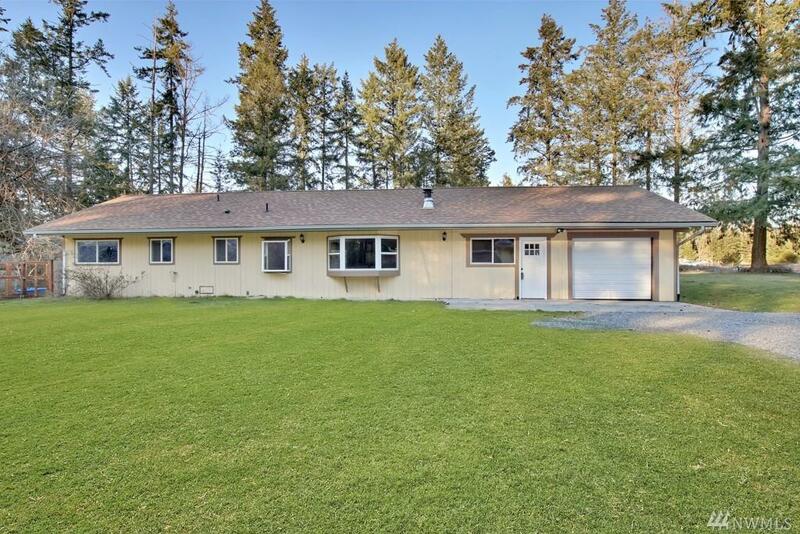 The 1740 sq ft. home offers 3 bedrooms, 1 full bath - great room concept with kitchen that is open to your dining area & spacious family room featuring a cozy wood stove. Also you have separate living room/flex area. 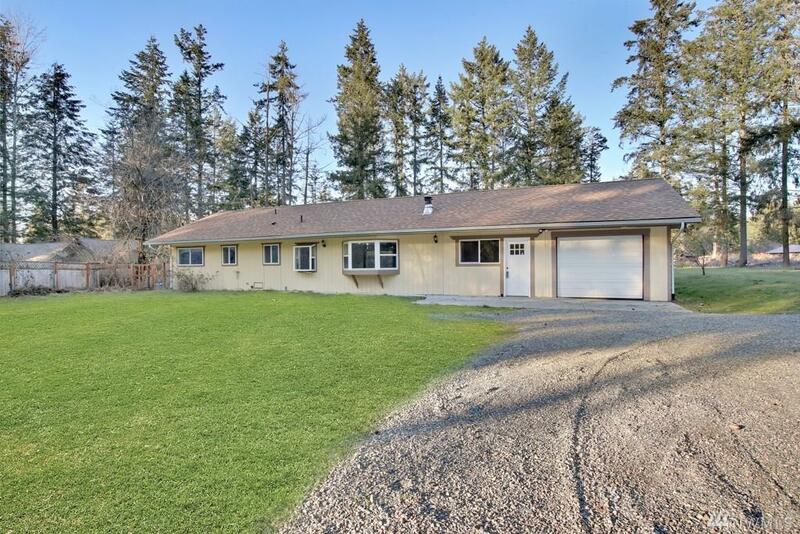 Upgrades include new carpets/pad, new interior paint, extensive exterior pressure washing & freshly graveled driveways. 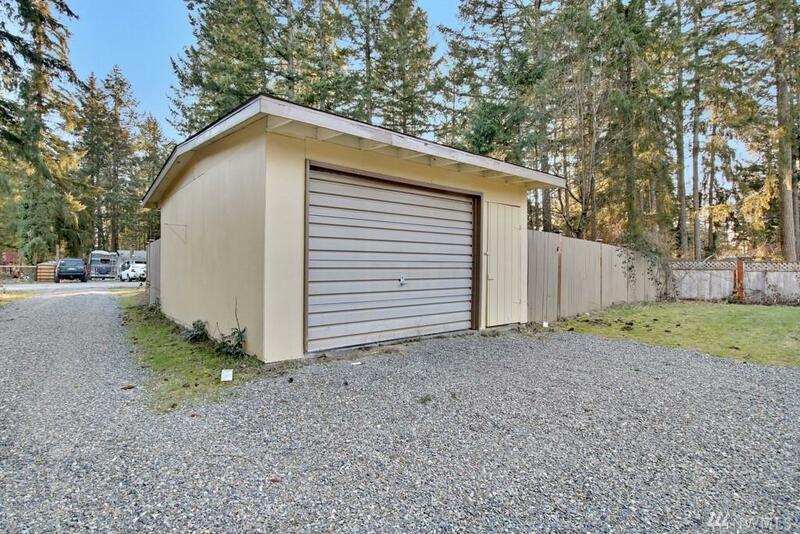 Detached/attached single car garages, storage shed, covered patio, dog run, RV prkg & more!